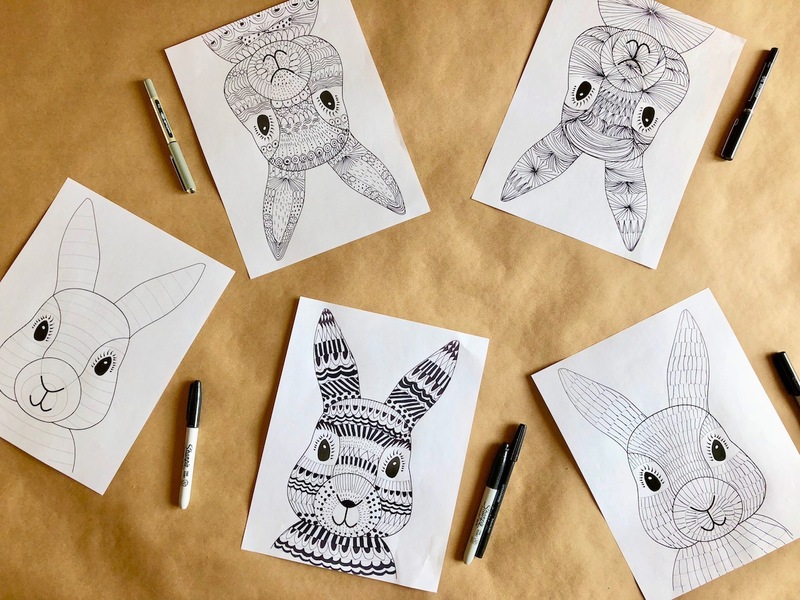 Meet our funky Easter bunnies and head over to teachstarter to get your own fabulous and free template! 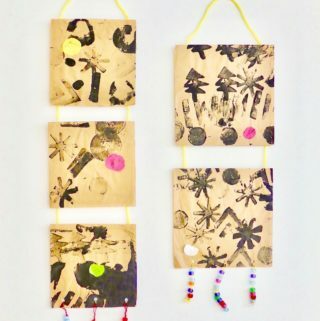 This project is not only fun but also perfect for discussing lines and patterns. 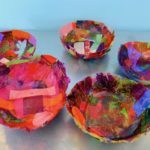 With younger children I often use Cassie Stephen’s wonderful introduction to creating with lines. 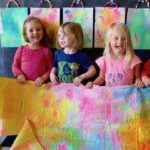 She uses a poem and a plush snake to introduce different kind of lines which younger children LOVE! 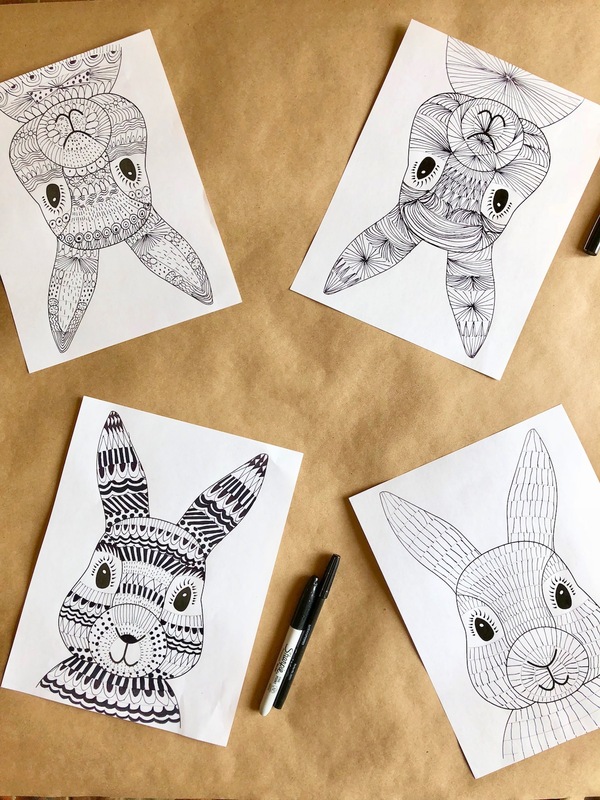 Before drawing your Easter bunnies you could experiment with pencil and paper to see how many different lines you can create. 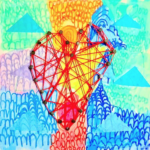 Older children might enjoy drawing more complex patterns and shapes. To get familiar with a variety of lines (curved, straight, zigzag, diagional, dashed or dotted, horizonntal, wavy, parallel, perpendicular etc.) 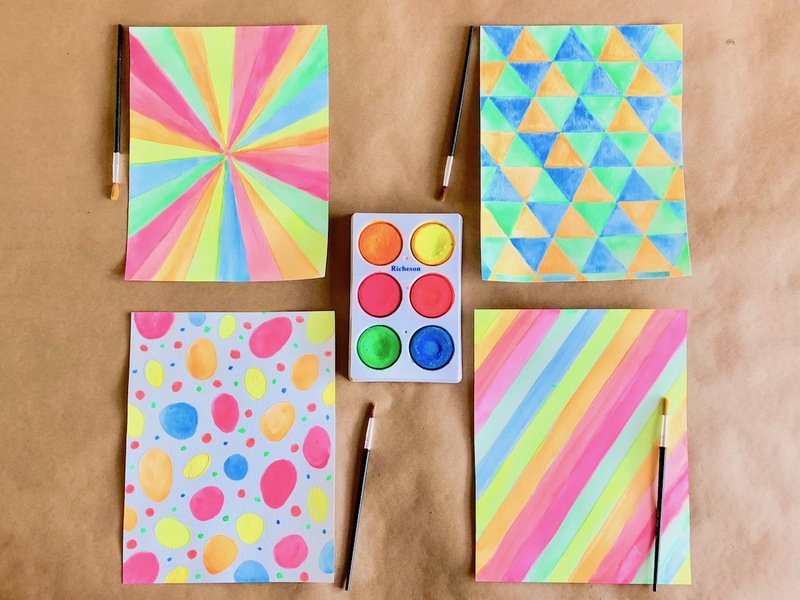 you could also warm up with doodling on these playful Zentangle starter pages. I hope you enjoy this as much as we did! 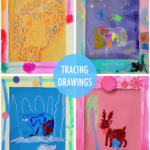 We want to try drawing our own animals next, creating sections and filling them with lines and patterns. 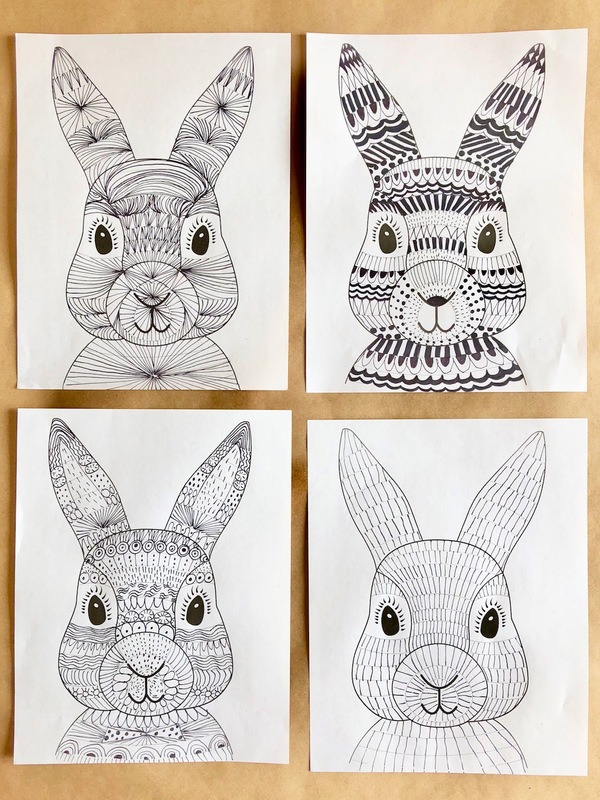 Draw lines or patterns in each section of the bunny. 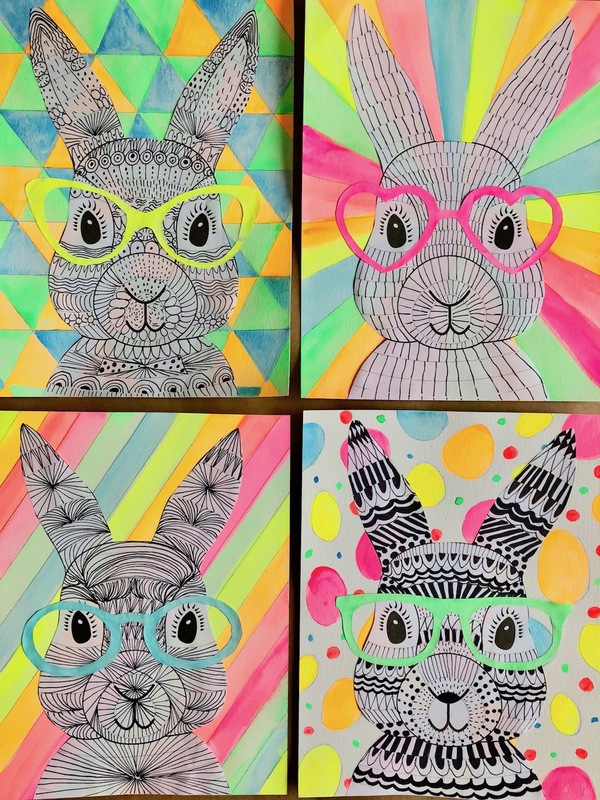 Cut out the outline of your bunny as well as the glasses you’ve chosen. 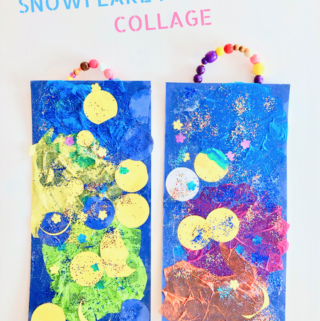 You can glue your bunny on colored card stock or construction paper, or create your own background with watercolors. 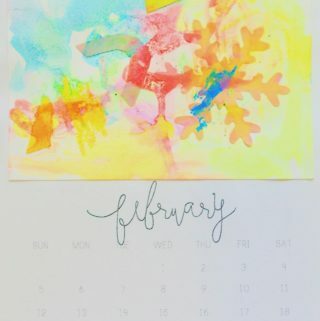 We decided to draw a patterned background which we’ve colored with watercolors. 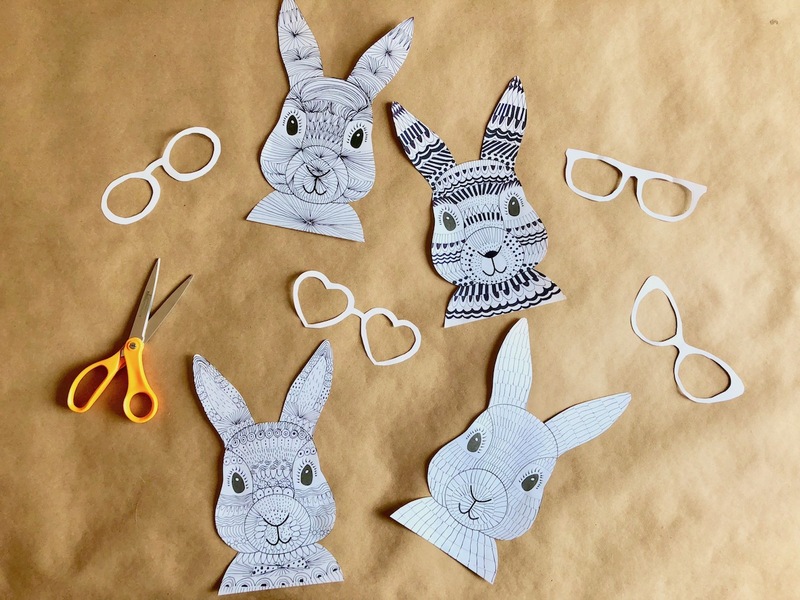 Glue the bunny and glasses on your paper once dry. Voilà!